“Why didn’t you make this sooner?! ?” That’s a popular question we have been getting from customers since the launch of Dr. Sheffield’s Premium Natural Toothpaste. The Sheffield team is, of course, thrilled that our customers love the product as much as we do! When crafting this toothpaste, we had one mission—provide customers with the best natural toothpaste on the market, inspired by the father of toothpaste in a tube himself. Now that we’ve brought that mission to life, our customers are not only loving the toothpaste, but they are wanting to learn more about it so they can tell their loved ones. That’s why we decided to write this blog post—The 5 Most Frequently Asked Questions about Dr. Sheffield’s Premium Natural Toothpaste. 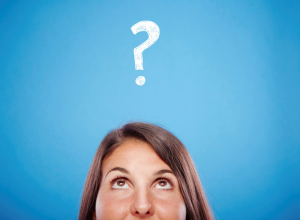 To find the answers to your most popular questions, read on. 1) Q: Fluoride-free? Isn’t fluoride supposed to be good for my teeth? A: Contrary to old-school beliefs, fluoride is not necessary for having healthy teeth. In fact, a growing portion of the dental community feels that fluoride in toothpaste in not only unnecessary, but excess Fluoride is potentially harmful. The fact is, many people receive a dose of fluoride from fluorinated water and certain foods and beverages—and they may not need extra Fluoride in their toothpaste. 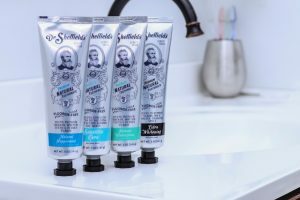 Dr. Sheffield’s Premium Natural Toothpaste offers a great-tasting, fluoride-free alternative to other, fluorinated toothpastes on the market. 2) Q: I’ve heard that some commercial toothpastes secretly contain toxic substances. 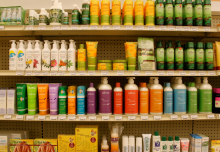 Does Dr. Sheffield’s Premium Natural Toothpaste contain any of these toxic ingredients? A: Dr. Sheffield’s Toothpaste contains none of the toxic or harmful substances found in typical toothpastes, such as Fluoride, Saccharin, Sodium Lauryl sulfate, or synthetic preservatives. In developing this toothpaste, it was imperative for us to carefully select each natural ingredient, so that our customers would be getting only the best. 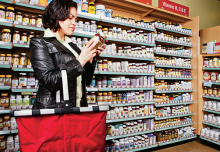 4) Q: I’m sensitive to gluten—even in health products! Does Dr. Sheffield’s Premium Natural Toothpaste contain gluten? A: You’re in luck! Dr. Sheffield’s Premium Natural Toothpaste contains no gluten. We know that our customers have diverse needs, and it’s important to us to accommodate those. We purposefully did not add any gluten to our toothpastes, because we don’t want anyone to be unable to enjoy the perfection that is Dr. Sheffield’s! 5) Q. I’ve tried other natural toothpastes before, and they tasted…not great, to say the least. 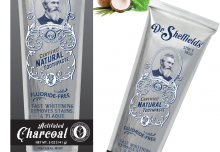 How is Dr. Sheffield’s Premium Natural Toothpaste any different? A: Ah, yes. The age-old ‘natural-toothpaste-tastes-gross’ story. To be honest, we agree. After tasting one too many bland natural toothpastes, we decided it was time to share Dr. Sheffield’s recipes with the world. And boy, are we glad we did! Finally, for the first time ever, there exists a natural toothpaste that tastes better than any other toothpaste on the shelf (natural or otherwise). One taste of Dr. Sheffield’s Premium Natural Toothpaste, and even the most skeptical cynic will be a believer.